On today’s show we welcome Mike Bonem, speaker, congregational leadership coach and author of Thriving in the Second Chair: 10 Practices for Robust Ministry (When You’re Not in Charge). Mike explains what it means to be a second chair leader. Mike’s core views on leadership in ministry and in business. Does the church still have a lot to learn from the business world? Identifying younger leaders and giving them opportunities to lead. Lone-ranger leadership style versus collaborative leadership style. What are the key characteristics of a second chair leader? How can a second chair leader be clear of their role? What a second chair leader should never do in their role. Overcoming the challenge of loneliness as a second chair. What hinders the success of congregational leaders today. How Mike’s business education ties into his success as a coach. Mike Bonem is a consultant, coach, author, speaker, husband and father. He offers a unique mix of world-class consulting and executive leadership experience to help churches, ministries, and their leaders turn vision into results. Mike holds an MBA, with distinction, from Harvard Business School. He was a senior manager with McKinsey & Company, one of the world’s leading management consulting firms, and held executive leadership roles in two businesses. He subsequently served over 10 years as the executive pastor of a large Baptist church in Houston. In his consulting, Mike works with congregations, denominational bodies, and faith-based non-profits on vision discernment, strategy implementation, organizational design, transition planning. He also coaches leaders in these organizations to improve their effectiveness. He has spoken at conferences across the country and internationally. 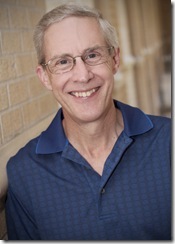 Mike is also the author or co-author of four books on ministry leadership. Mike and his wife Bonnie have been married for over 30 years and have three sons, one daughter, and two daughters-in-law. Learn more about at Mike Bonem at mikebonem.com, LinkedIn, and Twitter.